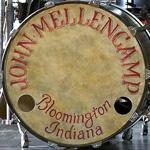 John Mellencamp Community > MELLENCAMP DISCUSSION > No Better Than This Tour Talk > Ottawa, ON > Going to Ottawa? NAC is the perfect size for this show. Will there be any opportunities to meet with John or the band? Cant wait to get my tixs. I saw him in at Casinorama in July never disappointing! I can't wait for the show tonight. It's going to be a family affair as I am going with both of my sisters, also big fans. 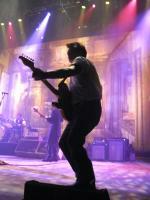 We were all at the last show here at Scotiabank place too. I love the intimacy of the National Arts Centre, and the acoustics are beautiful, but they are notorious for not allowing people to stand during performances. Since I thought it was inconceivable not to get up at some point during the night to dance, we got seats in the upper level in row D, with no one sitting behind us. I could not imagine going to his show and not dancing. I danced almost all night in Lowell. There were people near me yelling at other people to sit down. I hate going to shows and people getting mad at you for standing or dancing especially if you're on the floor or in your case with no one sitting behind you. I also remember one year my sister and I trading seats with a guy and his wife behind us because I was dancing and waving a small American flag and he was harassing me because they wanted to sit. I hope you and your sisters have a great time and are able to dance. Enjoy! Thanks! It was an amazing show, and we had no problems getting up to dance, even though when we did we were looking down to four floors below. Even on the floor people got up to dance during their favourite numbers and security did not stop them. Awesome! Glad you had fun and most importantly, got to dance.